I’m not an artist, but I am an art lover. So, when I heard about the Public Piano project at East Roswell Park, I wanted to see it for my own eyes. I visited the community center on June 28th and met with the artist, Amol Saraf and his wife, Alpana (who is also an artist and helps in his work). After meeting them and discussing their art, I got the sense that they are creative lovers of the world and are truly seeking to bring the world together with their art. The new Public Piano is now a bright explosion of color and nature, that the artists titled “The Life”. You must go to see it and try tickling the ivories, yourself! When you go, you will notice beautiful forms of nature all over the work. According to the artists, these forms are symbols of various attributes. 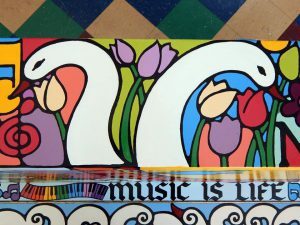 For example, the swans/geese, lotus flowers and water all symbolize purity and the sun, according to the artists, “is the very source of existence of life on this earth and is the soul of the universe; the one which gives life to everyone”. The water is a symbol of “purity and fertility and is called, source of life”. The swans and birds also symbolize “grace, beauty, elegance and transformation and convey a message of love”. The rainbow is for “celebration, positivity and enthusiasm”. 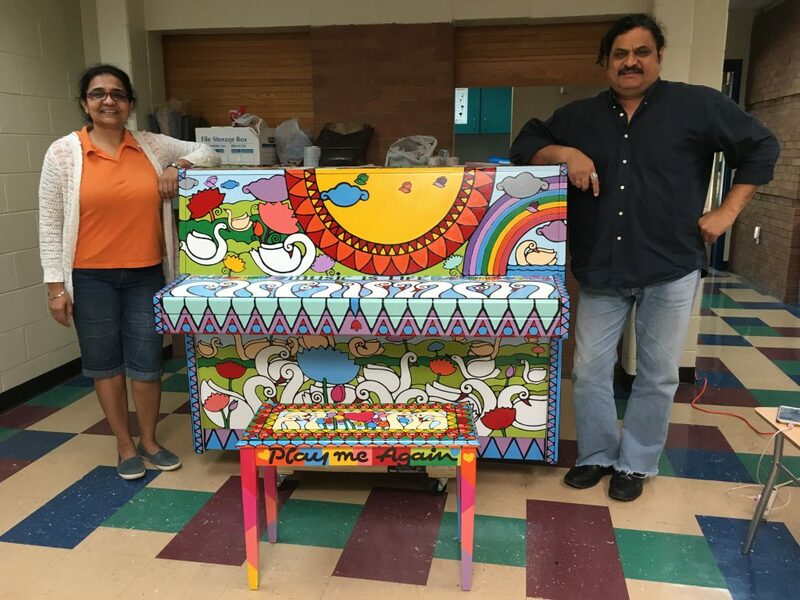 According to Amol and Alpana, “In total, the design depicts vibrancy, celebration of life and true identity of the city of Roswell”. 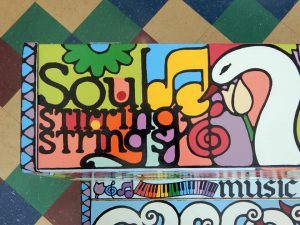 In addition to the forms of nature, the Artists have also added some words of wisdom to the piece as “music is life” is inscribed on the keyboard area, and “Soul stirring strings” and “Music for Soul”adorn the top of the piano. Amol does all of the artwork, including the calligraphy, free-hand, which is totally amazing. 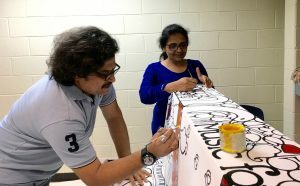 While Amol and Alpana were working on painting the piano, groups of children at the center would gather around to encourage the artists and ask them questions. It’s so exciting to bring our community, and our world, together in the love of art and music.  Amor and Alpana are originally from India, (Amol is a graduate in Fine Arts from J.J. Institute of Applied Arts in Mumbai). 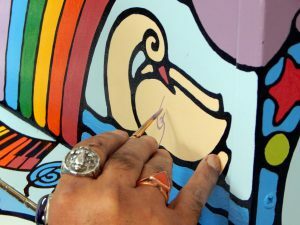 His artwork, however, has been exhibited all over the world, from India to Sweden, Russia, Switzerland, Vietnam and in the U.S in California, New York, Tampa, and Georgia. This is an artist who is comfortable painting on ANYTHING, not just on canvas. Last year he was part of the Atlanta Utility Box painting mural program. He has done various murals and backdrops, painted on a fountain, a swimming pool wall and even the bioscope for the International Museum of Art on Mahatma Gandhi, (which is one of it’s kind in the world!). So, he was not fazed at all about the prospect of creating art on this Public Piano. In his own words, Amol says, “surface doesn’t matter to me, I just enjoy painting….that’s all”. I look forward to going to the park to see folks enjoying this new artistic and musical instrument here in Roswell. I may sing a few bars from musical theater while I’m there too. Rumor has it that another spot in our city has been picked out for an additional Public Piano in the future. Where do you think it should be?